Austin McChord, founder and CEO of Datto Inc., officially opened his Inc. 500 firm’s offices in downtown Rochester on Sept. 12. 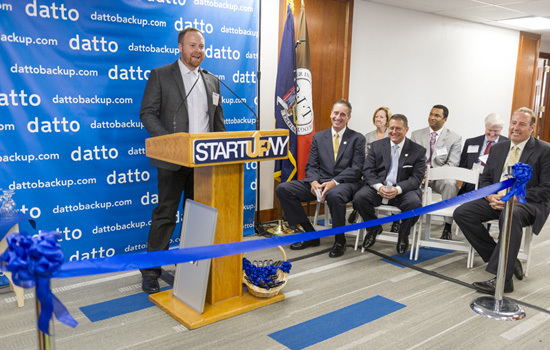 Datto, an information backup and disaster recovery firm, is the first company in the Rochester region to launch as part of the START-UP NY program. The company takes the fourth floor of the RIT-owned 40 Franklin St. in Rochester. McChord started Datto in 2007 while finishing his degree in bioinformatics from RIT. Note: Reaction from state and regional leaders is available online. 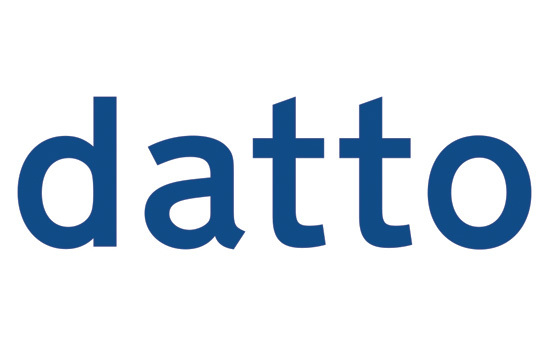 Datto Inc., the premier global provider of backup, disaster recovery (BDR) and Intelligent Business Continuity (IBC) solutions, announced today the grand opening of its new office space in Rochester. Joined by New York Lt. Gov. Robert J. Duffy, other state and local elected officials and Rochester Institute of Technology President Bill Destler, Datto founder and CEO and RIT graduate Austin McChord cut the honorary ribbon to the 12,000 square foot facility. As one of the first companies to join the START-UP NY program in June, the company takes the fourth floor of the RIT-owned 40 Franklin St. in downtown Rochester, site of the historic former Rochester Savings Bank. The first class of Rochester-based employees will join Datto’s award-winning 24/7/365 technical support department serving partner needs around the world. Since its inception in 2007, Datto is experiencing rapid growth with multiple high double-digit growth years while achieving nearly $50 million in revenue in 2013. The company has more than 300 employees worldwide spread across six offices; Headquarters in Norwalk, Conn., offices in Toronto, London, Sydney and Rochester, along with a build facility in Monroe, Conn. Most recently Datto was named to the prestigious Inc. 500 list for the third consecutive year, ranking No. 314 overall, No. 5 in security and No. 1 fastest-growing privately owned company in the state of Connecticut. In conjunction with the START-UP NY initiative, Datto is committed to creating more than 70 jobs in Rochester over the next few years. Datto is actively fielding employment inquiries for all offices, including the Rochester site. For more information on Datto and job openings, visit www.dattobackup.com and careers.dattobackup.com, respectively. START-UP NY seeks to accelerate entrepreneurialism and job creation across the state on a large scale, with a particular focus on Upstate New York. The Empire State’s expansive public and private higher education institutions serve as the framework of the START-UP NY program, to attract high-tech and other start-up businesses, venture capital, new business and investments from across the globe. Under the program, businesses that create net new jobs, such as Datto Inc., will operate tax free for 10 years—paying no state income, business, corporate, local, sales or property taxes or franchise fees. START-UP NY is the only state economic development initiative in the nation to offer a zero tax rate to businesses that create jobs.